are you a gopher fan? you seem to troll the womens thread pretty good. Cold day in hell son. now GFY FNG. I guess you are pretty green. You have a problem with UND sweeping St Cloud because they would "lose to top d3 teams"
FYI, the best players in the world are not normally found in North Dakota. While you think he should be looking at players in the region that no one is looking at, he is traveling the world recruiting Olympians. Check the Ms. Hockey finalists. The top 10 players in the country are almost all from Minnesota. He got 3 of them. If they were from ND then no doubt he would get them!!! You are as clueless as they come. Bison football fan because my nephew is on the team who UND wanted badly and I wanted him there too. 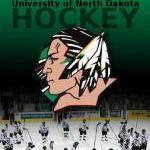 Been a season ticket holder for Sioux hockey for years. If anyone is a troll it would be you me boy. First 2 are walk ons. Never recruited. Lams are a no brainer. Jensen is from minny. EGF is across the river if you didn't know that. Again GFY FNG. You obviously didn't get my point. Idalski HAS the ND "area" locked down. You must have a daughter who didn't even get a call or something if your truly a Sioux fan. Women get a sweep of Mankato today, moving them up to 8th in Pairwise. Oh we got a call alright. Think again. My daughter doesn't care for the guy and her dream since she was 6 was to play for the Sioux and believe me she is quite capable. She is going elsewhere. She is happy with her choice and loves the coach. She is enjoying her last 3 weeks of high school hockey and recently has gone bonkers on the scoresheet. Concordia? Very good school academically. Congrats! Just a question from a casual observer... If your daughter is good enough to play for the (former) Sioux, but didn't care for Idalski, is she accepting a scholarship offer to some other DI school? That worked well as a motivation factor for students recruited by the UND men's team that felt they were spurned by the "home town" Gophers. Also, would appear that any athletes at Jamestown may have a difficult time picking up scholarship offers for women's hockey from UND after reading some comments that have been made about the UND coaching staff in this forum. By the looks of how active Idalski's twitter account is, he just might visit this site. Last year there was a story of how 8 languages were spoken in the locker room. A lot of top-end international talent, and no offense, but that is what they get paid to do. Please don't bring her name up. We are still cleaning up the mess she left behind. Nice to see the women finally sweep Mankato. Now they need to do the same this weekend against the Beavers. Getting these 6 points will be very critical in our push for not only a 1st round home series but trying to finish 2nd and get a more favorable match up with BSU or St. Cloud. Should be a good fight between these 4 squads to see who ends up where 2-5. RIT might beat SCSU on a very good day. Never happen on a consistent basis. SCSU would be north of .900 winning % over the best D-III has to offer. To say the best D-III teams would beat SCSU regularly is absurd. Sounds like you haven't watched many D-III teams, including the top teams. Me boy. I'm biased, but think any D-I coach would do well to add top Minnesota players to their roster. Definite increase in very talented players from some less traditional hotbeds the last 10 years or so. The Chicago Mission girls U19 AAA organization has been developing studs up the wazoo the last 6 years or so.